Upgrade a PS3 slim hard drive could help you a lot to play games on the PS3. But how to upgrade your PS3 hard drive? The AOMEI Backupper will give you a solution here. 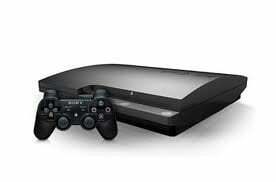 Why you need to upgrade PS3 slim hard drive? PS3 is a popular game machine that can play with a lot of games. Although it is not the best one in game world, there still many players love it. However, the storage space is easy to running out of space, and you cannot store one more game on the PS3 hard drive, thus, you need to upgrade the PS3 slim hard drive with larger one. How to upgrade your PS3 hard drive without losing data? Upgrade a PS3 hard drive with larger HDD or SSD should be the best way to improve the PS3’s performance. But you would lose the game files or other data on your old PS3 slim hard drive. Is there anyway that you can upgrade your PS3 hard drive without losing data? Fortunately, you can take use of some third party software like AOMEI Backupper to upgrade a PS3 slim hard drive without losing data. 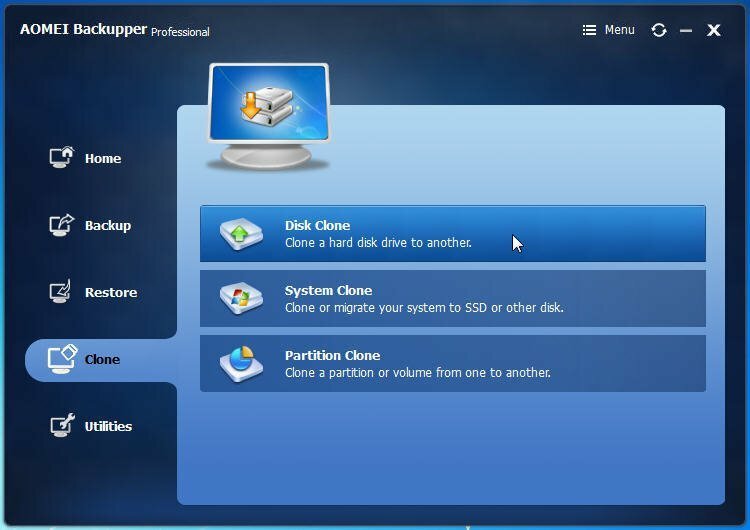 AOMEI Backupper is a great powerful disk cloning software that you can make PS3 hard drive clone in a few simple steps, and boot your PS3 from the cloned hard drive normally. To upgrade PS3 slim hard drive, you need to prepare for it. 1. Turn off your PS3 off, and disconnect it from then power source. 2. Remove your PS3 slim hard drive from the PS3, connect it to your Windows computer. 3. Prepare a larger HDD or SSD, connect it to your Windows computer. There are two types of SATA drive, SATA-150 and SATA-300. Choose a SATA-150 hard drive because the PS3 system supports 1.5gb/sec which is supported by SATA-150, while SATA-300 drive works at 3.0gb/sec. 4. Install AOMEI Backupper on your Windows PC. You can also download its free edition from its official website. Then, you can start to upgrade a PS3 slim hard drive without losing data. Step1. Make sure that your computer can detect both the PS3 slime hard drive and its replacement disk. Launch AOMEI Backupper. To upgrade PS3 slim hard drive without losing data, here you need to open the Disk Clone under Clone tab. Step2. Choose the PS3 slim hard drive as the source disk. Step3. Then, choose the HDD or SSD you want to replace the old PS3 slim hard drive as the destination disk. Step4. Then, you will move to the Operation Summary page where you can confirm the operations you did. If there id no problem, you can click Start Clone to launch the progress immediately. Edit partitions on the destination disk:you can edit the partitions size on the destination disk so that it will work well after cloning. Sector by sector clone:it will clone every byte on the source disk no matter it used or not. We do not recommend it because it will take more time and occupy more space on the destination disk. Align partition to optimize for SSD: if your destination disk is a solid state drive, we highly recommend you check the box, because it will optimize its performance after cloning. In fact, AOMEI Backupper can do a lot for you. Like move OS from HDD to SSD only, create bootable media, create system backup image, restore computer to earlier date, etc. It supports all Windows OSes. If you are a Windows Server users, its AOMEI Backupper Server is suitable for you. Hope you can enjoy it.